The objective of this paper is to expand and build on the work done by the UN Women Training Centre to date by developing a substantive conceptual and methodological approach to the evaluation of training for gender equality. 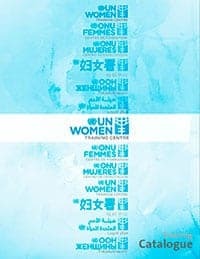 This paper draws on the principles of gender responsive evaluation set out in the UN Women Evaluation Handbook (2015) and the UNEG Guidelines on Integrating Human Rights and Gender Equality in Evaluations (2014). In addition, the conceptual framework developed enriches these approaches by drawing on best practices from the broader field of feminist evaluation. This adds value through a reflexive approach that privileges the analysis of structural power dynamics and is committed to evaluation as a tool for empowerment and social change, in line with UN Women Training Centre’s overarching transformative approach to training for gender equality. •	Conceptual framework for the gender-transformative evaluation of training for gender equality. 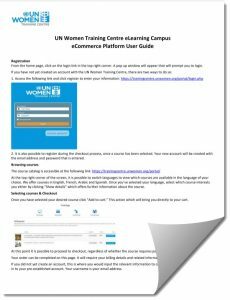 •	Tools and methods for evaluating training for gender equality. •	Statement: guidance on gender-transformative evaluation of training for gender equality. This is one of a series of Working Papers commissioned by the Training Centre which can either be read as a stand-alone paper or in conjunction with the rest of the series, including: “Theory of Change”, “Feminist Pedagogies”, “Quality Assurance”, among others.